This is not a real Continental Dollar. The genuine article would run at least $40 - $50,000 and more - much, much more for high grade pieces. This collectible restrike is now sitting in my safe deposit box. Fascinating degrees of reality, isn't it? Yet people collect these fakes and pay good money for them. 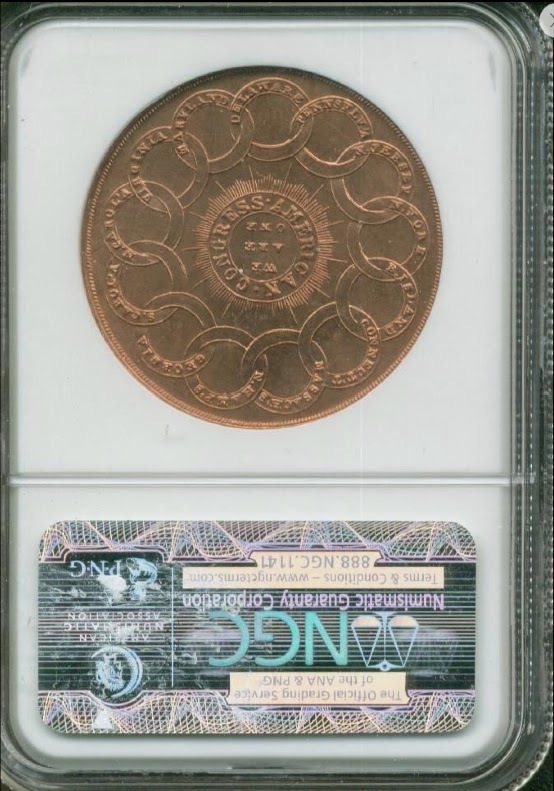 This coin is not something that you'd find in a dealer's junk box - I paid $175.00 for it in 2014. 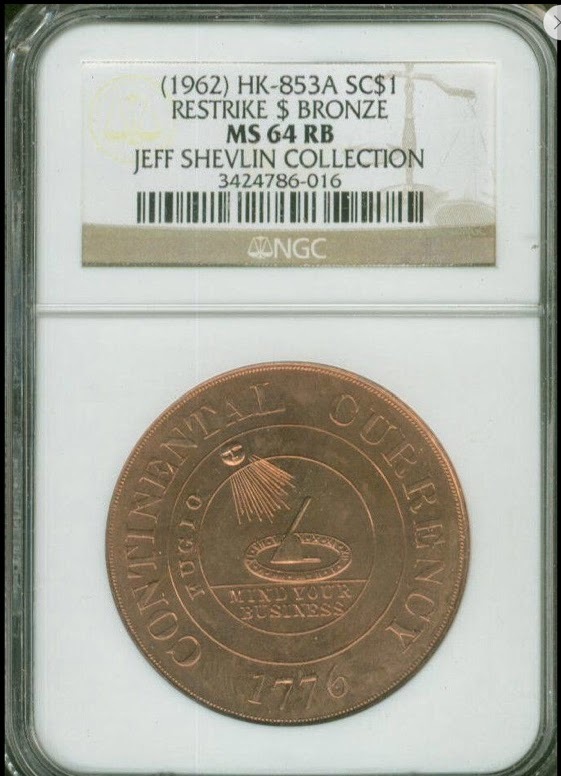 By the way, Jeff Shevlin is a collector, researcher and author who specializes in "So Called Dollars" (see link earlier). I liked that this particular coin came from his collection. See also Continental dollar struck in Europe? nice piece, Dickesons dies have such a modern looking design when compared to the originals, it's difficult for me to describe them as copies, more like a personal interpretation. I obtained an hk852-a (same dies as yours struck on .999ag) some years back, my interest spurred by coming across a period copy of the Continental Curency pewter while metal detecting (identification from metallurgic assay and expert exam). I am amazed at the number of period fake king george hps (mostly GII) i recover while detecting, more so than regal issues. Now i seek out period copies of all coins, it is an affordable and fascinating field. thought to be struck in the 1950s. good stuff, thanks for sharing, Herbie.